Have you been to Vietnam? How much time did you spend there? Since we were coming from China, it was fairly easy to enter the country overland. 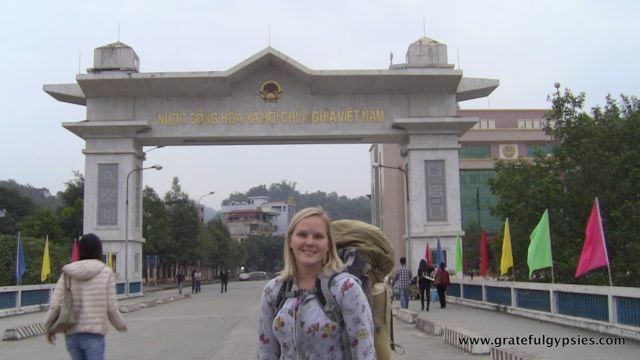 We got our visas situated in Kunming and took a 6-hour bus ride from there to the border town of Hekou. On one side of the bridge, we went through Chinese customs and exited the country. 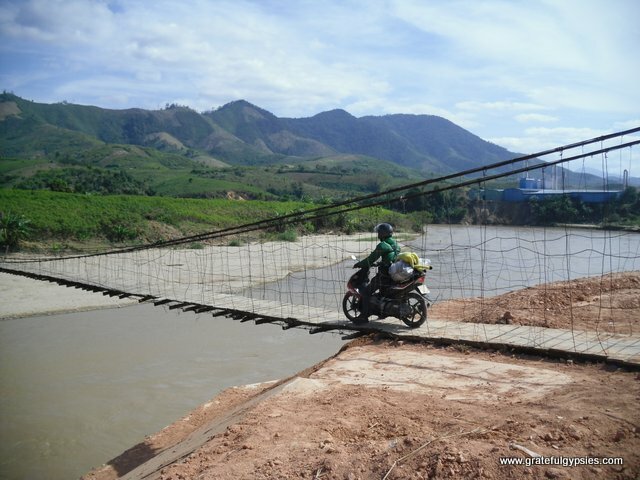 Crossing the bridge in no man’s land, we then entered the Vietnam side, had our visas checked, and were stamped into the country in Lao Cai. We tried to no avail to find a mini-bus to get us to Sapa, and eventually shelled out about $20 for a private taxi as it was getting dark. Should you find yourself in a similar situation, just get to the train station – you can get in a shared minivan from there to Sapa just about any time of day. Vietnam requires you to already have a visa when you arrive. You could go to the Vietnam embassy or consulate to obtain yours. Not everyone has time for that though. 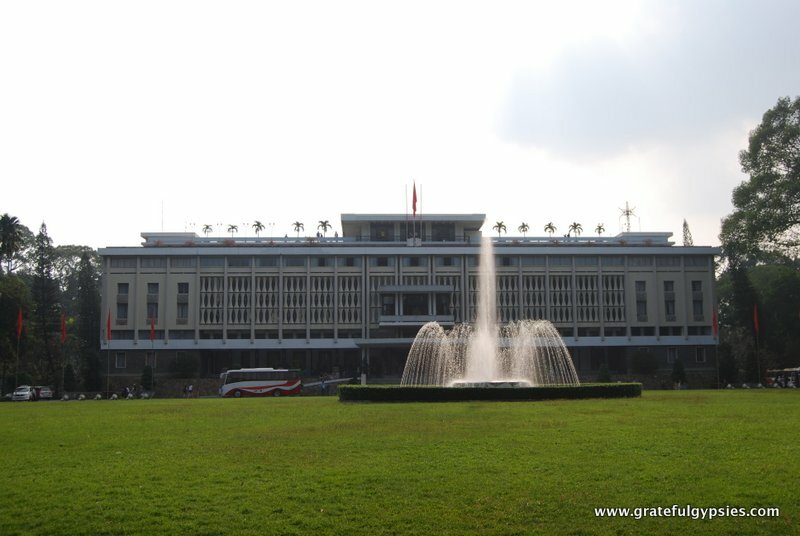 We recommend Vietnam Visa as a trusted agency to help you get your visa. Scenery as we hiked back to Sapa. 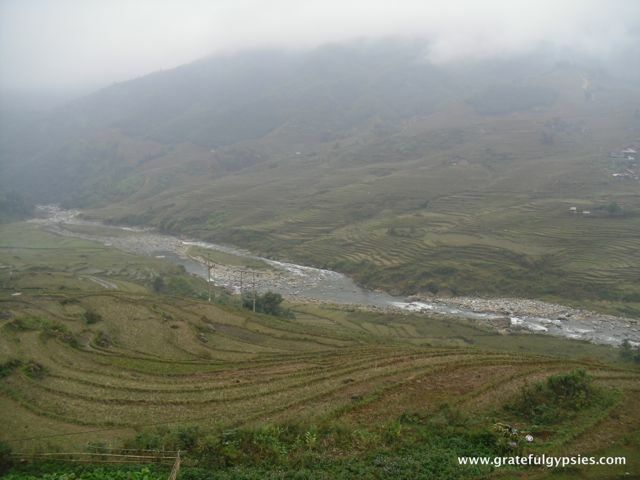 Thanks to foggy and rainy weather, we didn’t stay in Sapa as long as we had planned. Instead of doing a long trek, we just spent two nights in the town and then did an overnight trek to the village where the ladies from our hostel live. We hope to get back there at a better time of year for more trekking. From Sapa, we took a wild overnight “sleeper” bus all the way to Hanoi. We spent a very enjoyable five days in the capital city, visiting many museums, exploring the Old Quarter, and of course over-indulging in street food and the famous draft beers that cost only $0.25. Also, we got to hang out with a bunch of local students who took us to join their English Club and helped us put together a bunch of videos on Vietnamese. Thanks, guys! We got to see this basically all day. 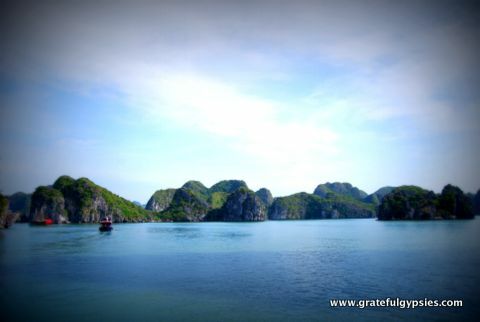 Instead of just taking a day trip to the famous Halong Bay, we decided to spend a few nights on Cat Ba Island. From there, we were able to start our boat trip around the bay first thing in the morning. On the second day, we rented a motorbike, hit the beach, and did some hiking in the national park. 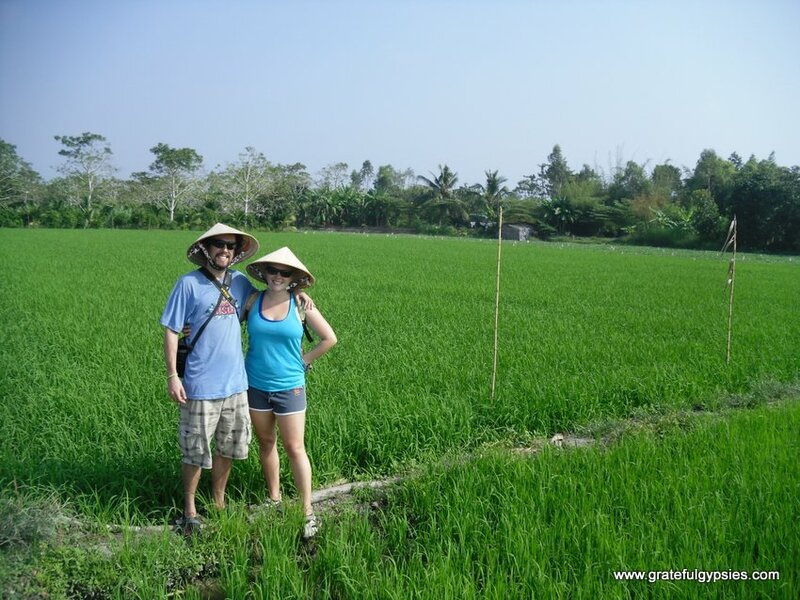 We thought we’d have to backtrack to Hanoi to head south, but that wasn’t the case at all. 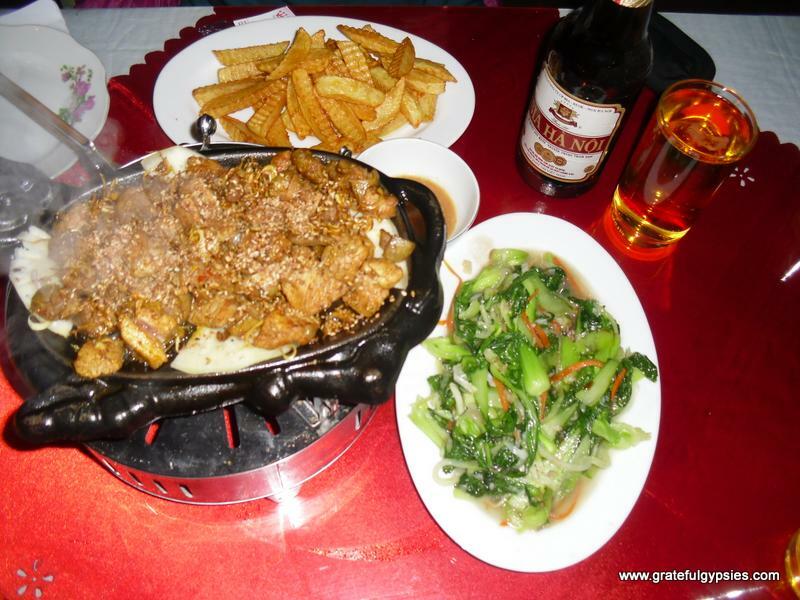 We caught a bus to Ninh Binh, where we had an alternative Thanksgiving dinner of goat meat. With the one full day we had there, we got some wheels and headed out to explore some of the sights. Unfortunately, we got a bit lost and almost ran out of fuel, but we managed to make it back and catch a train onward. At this point, we were wondering if we’d ever get good weather on our trip. 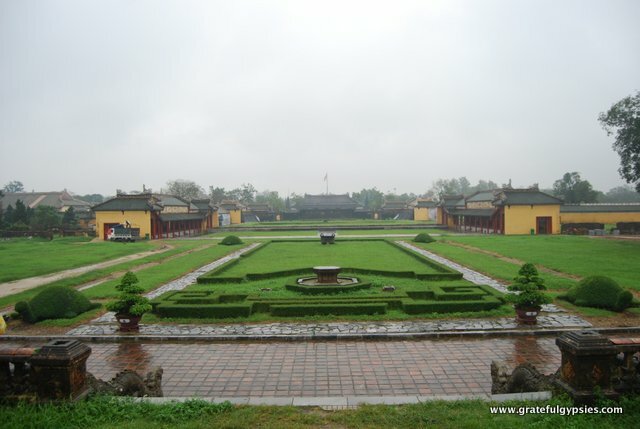 It was pouring rain the entire day we were there, but we didn’t let that deter us from going out to see the old Imperial City. To be honest, it wasn’t nearly as impressive as the Forbidden City in Beijing or other similar landmarks. With no sign of sunshine, we kept on moving. This charming little town is hot on the tourist trail, and for good reason. It’s a really quaint spot with a lot of history, cheap tailor shops, delicious food, and plenty of bars. We were fortunate enough to join in one of the Hoi An free tours led by local students, and this was a great insight into the local culture. Although we easily could have stayed longer, we wanted to start our Easy Riders trip. Rachel and Mr. Chinh ready to rock. 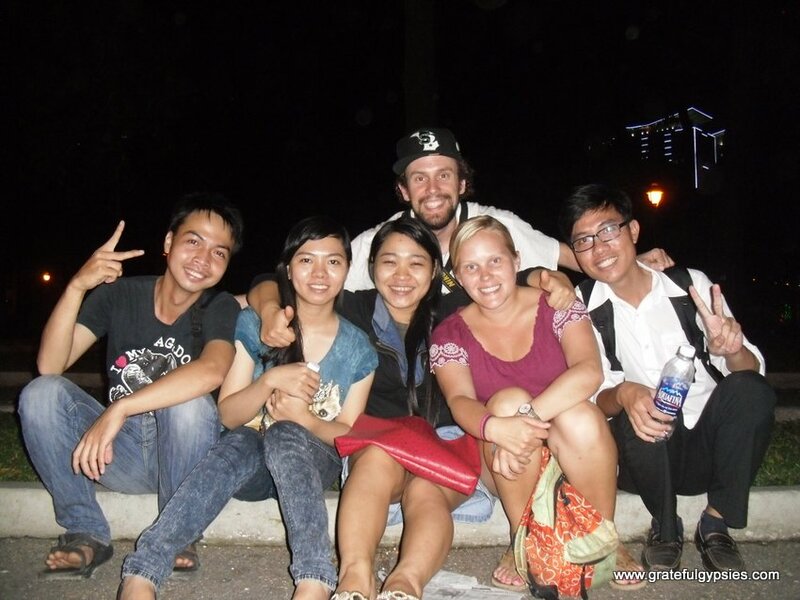 When it looked like all hope was lost for doing an Easy Rider motorbike tour, we met Mr. Chinh in Hoi An. 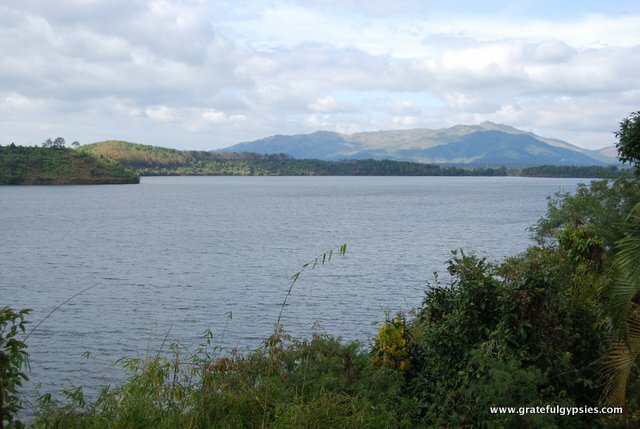 He was very flexible and helpful in planning a route, and he took us on an amazing trip through the Central Highlands. Over the four days, we visited minority villages, farms, waterfalls, temples, and much more. It was definitely the highlight of our trip, even if it broke our budget. 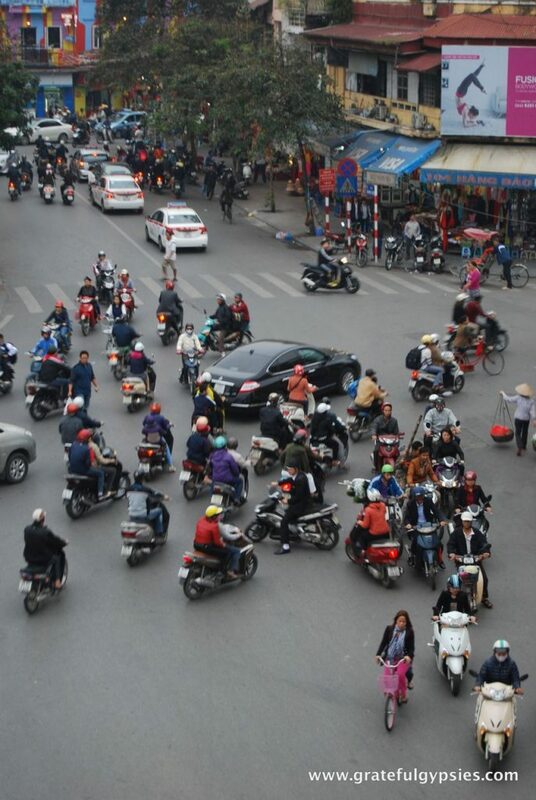 It’s amazing just how different HCMC is from Hanoi. Many years after the war, there’s still a big divide between north and south in Vietnam. We had a great time meeting up with more students and people from Couchsurfing, raging the backpacker street, hitting some of the sights, and pigging out in a night market. One day trip from the city took us out to the Cu Chi tunnels, which was packed full of tourists but quite interesting. We couldn’t visit Vietnam without a trip to the Mekong Delta, so we headed to Can Tho and booked a few nights in Hung’s Homestay. Mr. Hung himself took us out on his boat to tour the floating market, rice paper factories, watermelon farms, and a lot more. Photo shoot with the locals. Our final stop in Vietnam was the seaside town of Ha Tien. Although most people just breeze through here on their way in or out of the country, we decided to spend a full day there to lay on the beach, climb a cave temple, and eat some delicious seafood pho. From there, we took a short ride to the border, got new visas, and headed into Cambodia. Vietnam Really isn’t So Bad! 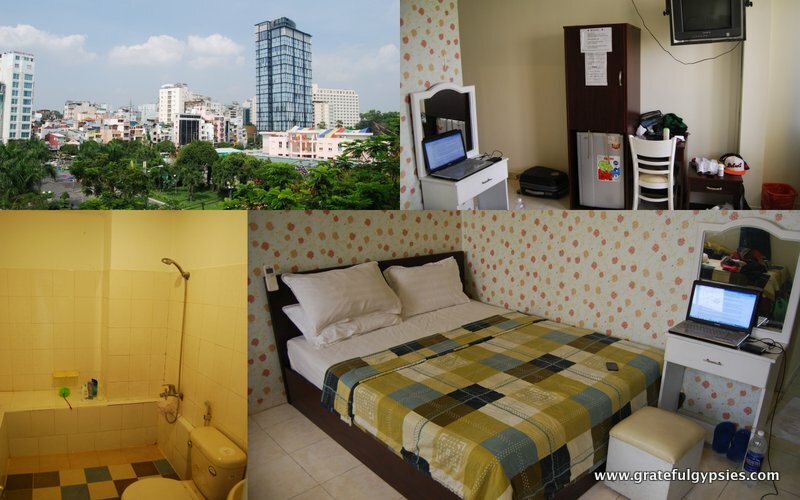 Vietnam – give it a chance! If you just read other travel blogs about Vietnam, chances are you’d seriously consider skipping this country altogether. Before our trip, we read so many horror stories about traveling here that we were honestly expecting to not really enjoy it. Here’s one of the first lessons we’ve learned on the road so far – you need to visit a place to make up your own mind about it and take other opinions with a grain of salt. Overall, we had a fantastic time traveling in Vietnam. We never felt in danger, nor did we ever really feel like we got scammed. Of course, we probably paid a few more dollars here and there than locals, but that happens EVERYWHERE in this part of the world. More so than any other country we’ve visited, we really got to bond with people in Vietnam. This is probably because we reached out to people on CS and had a great response, but we’ve also tried this in other countries to no avail. We made some good friends there and thoroughly enjoyed meeting locals. The “American War” is still a big part of everyday life in Vietnam. 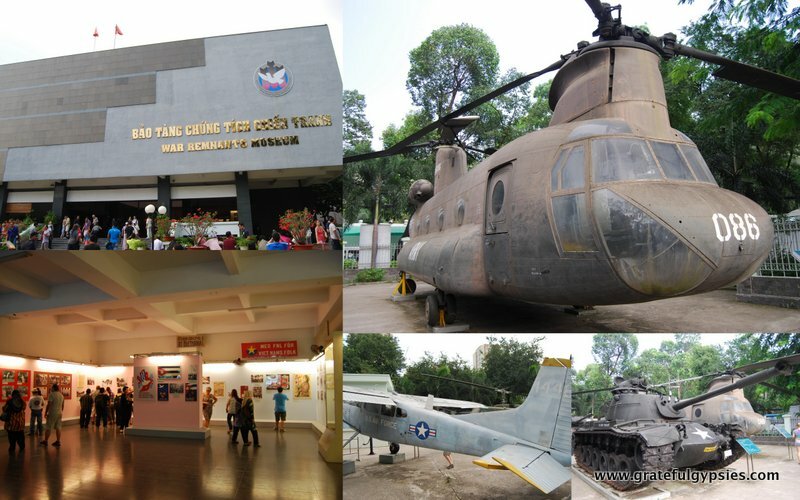 There are many museums/monuments dedicated to the war, as well as sites like the Cu Chi tunnels. Many people are still dealing with things like Agent Orange, which has ruined countless lives. Despite this, we never felt any animosity towards us simply for being American. 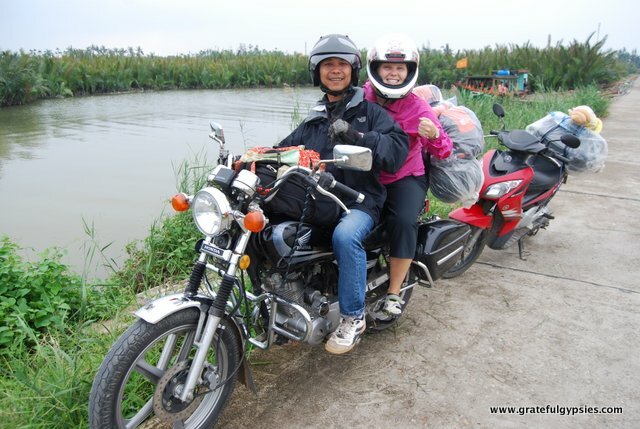 Other than our Easy Riders tour, our Vietnam trip was really cheap. We didn’t stay in a single dorm room, either – it was private rooms all the way. We’ll put together a cost report on our trip soon to give you a better idea of where our money went on the road. Some scenery on the motorbike trip. As mentioned above, the Easy Riders tour was definitely the best experience. Getting off the very beaten tourist trail along the coast and cruising through the Central Highlands with an awesome guide was such a good time that we only wish we could have stayed on the tour longer. 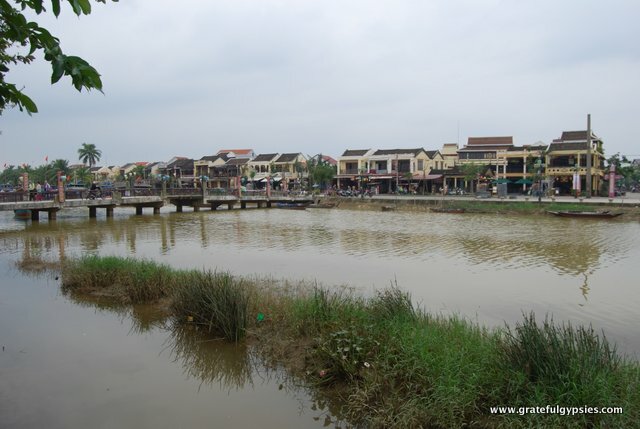 In terms of places we visited, Hue was probably our least favorite. Of course, the fact that it was pouring rain and we only stayed there one day is probably why. Maybe if we had more time and nicer weather we would think differently. I’d cross that bridge again, for sure. 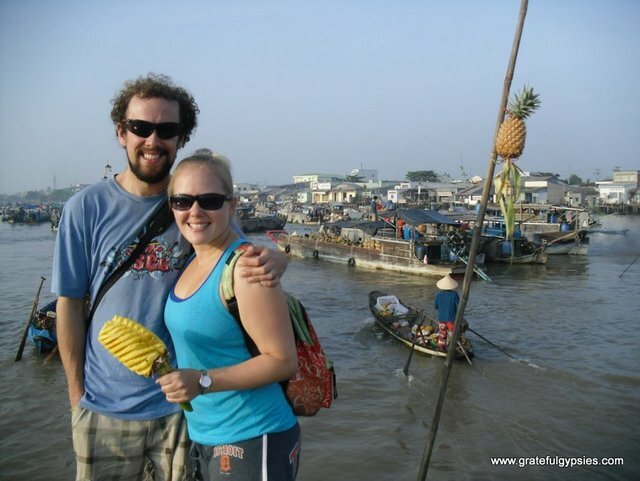 It was our first time in Vietnam and the very beginning of our epic SE Asia backpacking trip. As such, we were full of energy and probably bit off more than we could chew. Although it’s hard to say what we would cut if we could go back and do it again, we probably tried to squeeze too much into one month. For others who aren’t such fans of big cities, a few days could probably be snipped off of both Hanoi and HCMC, but we were also working on video projects that demanded we stay longer. It would have been nice to spend an extra day in Ninh Binh as well, so maybe we would have just cut Hue out altogether considering the horrible weather that time of year. Other than that, the trip was a huge success. Disclaimer – This article may contain our affiliate links. This is how we’re able to fund our site. Rest assured there’s no extra cost to you! Hi, This blog was great! really helpful. I am off this year and arriving hopefully around December 10th- until mid January. Although this is a long shot two questions, do you think it is worth shelling out more money (im from the uk) for a 90 day visa so I can spend 5/6 weeks here? I originally planned to spend 4 but have thought about spending less time in laos and Cambodia instead and more in Vietnam. Fingers crossed I get better weather in December and January! In my opinion, I do think it would be worth it to stay in Vietnam for longer than 30 days. We did so much in our 30 days there, but we felt like we only barely scratched the surface. There was so much more that we wanted to see and do that we just couldn’t fit in. That was also because we were only traveling by land. It’s probably easier to see more when you’re flying. I would still advise more than 30 days if you have the time. However, there are plenty of amazing places in Cambodia and Laos, too. It just depends on your travel style and what you enjoy doing most. We’ve been to Laos twice and spent a full month there in total. We never really got around to blogging about it, though. If you have any questions about it, feel free to ask! I definitely think I will take the plunge and buy a more expensive visa for Vietnam so I can spend more time. Worrying now about a Laos itinerary and since you mentioned you spent a month there I wonder if you think this is rushing it? 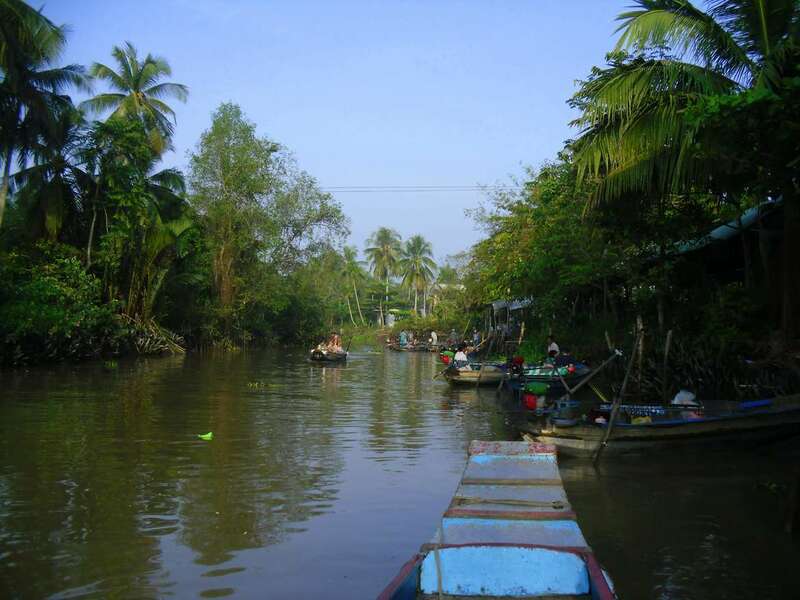 -Arrive overland from Cambodia and visit the 4,000 Islands. Thanks for any help, struggling to find more on this and any help is amazing! That sounds almost exactly like what we did! We crossed from Cambodia and went to the 4,000 Islands, Champasak, Pakse, Savannakhet, Vientiane, Vang Vieng, Luang Prabang, and Nong Khiaw in 25 days. I don’t think you’ll be rushed at all. Definitely make sure to check out the Buddha Park when you’re in Vientiane. There are a bunch of really cool Buddha statues there. You should Google the story behind it. The best place to book travel into Thailand is from Luang Prabang. We were determined not to do any backtracking on our trip so we managed to find a ride from Nong Khiaw. It turned out to be a pretty terrifying trip with a few funny moments. It was an overnight “bus” ride and the driver was obviously very sleepy at several points in the drive. In hindsight, it would have been better to just go back to Luang Prabang. Laos is such a cool country. It’s largely passed over by so many travelers due to a number of reasons but mostly, I think, because it doesn’t have a big attraction like Angkor Wat. The people are so friendly. Everything is much cheaper, too. It’s the only country where we came in under budget. I’m sure you’ll love it. If you need anything else, just ask! Hey, what time of year were you over there? We were there from November 15 – December 14.